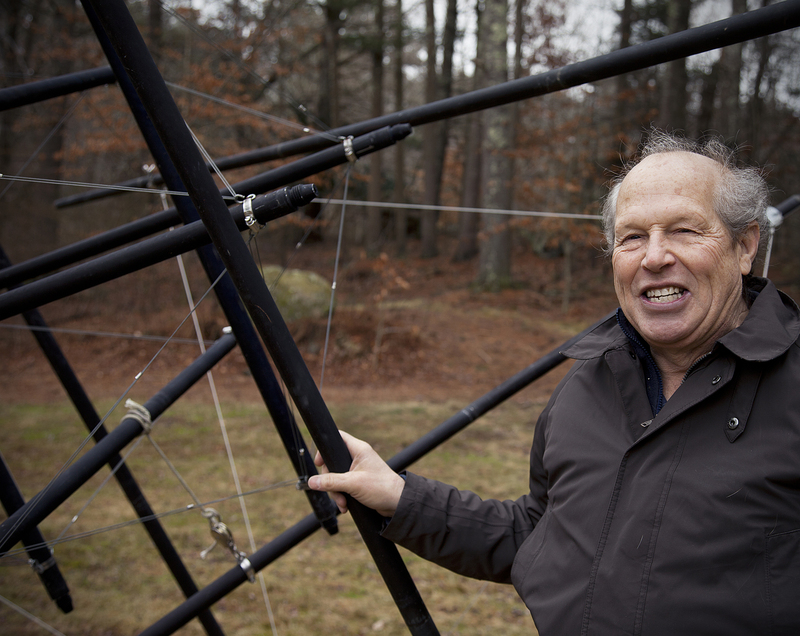 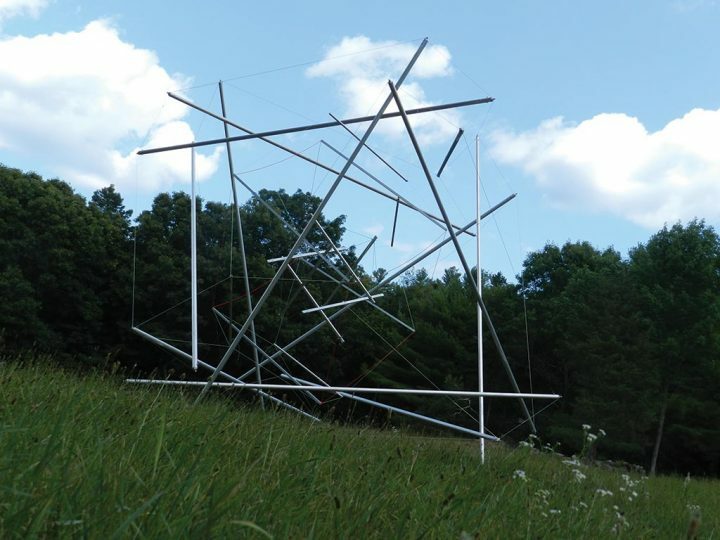 Sculpture and science intersect in the work of Stephen Metcalf, whose large, often kinetic works derive from a structural principle called ‘tensegrity’—defined by inventor Buckminster Fuller as ‘tensional integrity’ or contemporary sculptor Kenneth Snelson, as ‘floating compression.’ Since his student days at the Kansas City Art Institute, from which he received his BFA in 1972, Metcalf has explored this concept in his sculptures, which he delights in releasing to the fields around his farm in Exeter, Rhode Island. Over the years Metcalf has worked in management for both television and construction but now is free to further investigate the connections between the physical world and his geometrical forms. Metcalf is active in the Art League of Rhode Island and as a trustee of the Rhode Island School of Design, which was co-founded by his ancestor.